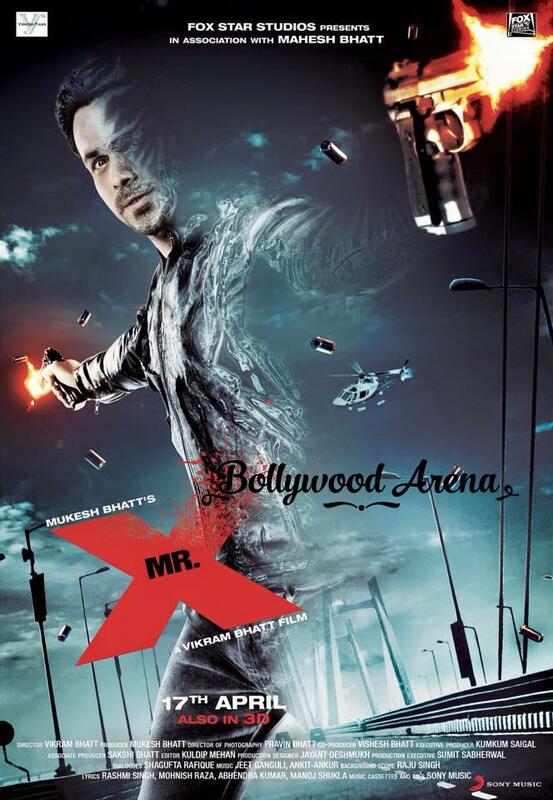 Mr.X is an upcoming 3D sci-fi thriller film directed by Vikram Bhatt.It stars Emraan Hashmi,Amrya Dastur in the lead roles.Mr.X is releasing on 17 April 2015. Mr.X marks the return of Emraan Hashmi with the Bhatt camp.So you can expect some chartbuster music and steamy scenes.But Mahesh Bhatt has said that Mr.X is a complete family entertainer and different from Emraan’s other films. Mr.X(Emraan Hashmi) is an officer in anti-terrorist squad.He is an honest officer who fulfills his duties.He is in love with his colleague (Amrya Dastur).In solving one case he is attacked by some people and he was injured badly. He is given an experimental treatment to save his life.Though he survived but as a side effect his cells stops reflecting light and he becomes invisible.In the start he has to face many problems due to his invisibility but as the time goes by he overcome his difficulties and becomes a superhero.He uses his power to fight against the evil. Vikram Bhatt has directed many horror movies but Mr.X is different from those.He has tried his hands on a supernatural thriller.Mr.X starts on a promising note with Emraan Hashmi serving as an officer in anti-terrorist squad.The first half is very entertaining and engaging.But after the interval movie becomes very much predictable.It seems that no one can beat or even come close to Mr.X.But you have to praise the visual effects that are used in the movie.The action scenes in the movie are also worth a watch.Screenplay is average while editing could be better.The music of Mr.X has also nothing new to offer except one song Tu Jo Hain.Background score is superb and lifts many scenes in the movie. Emraan Hashmi is top notch in Mr.X and he is back with a bang.The actor looks completely fit in the role of Mr.X.You will be frightened to see his scary avatar. Amyra Dastur is the surprise package in Mr.X.We don not have much expectations from her but she acts very well.She uses his face expressions perfectly and delivers a superb performance. In the supporting cast Arunoday Singh also manages to give a decent performance. Mr.X is a movie that has romance,drama and some breath taking action scenes.You will also be able to enjoy some never seen before VFX. But it is the story and screenplay that has let down the film.Overall Mr.X is decent entertainer that has some thing that you have not seen before.